Getty Images, "James, who was recently named Sports Illustrated Sportsman of the Year, is averaging 24.7 points, 8.9 rebounds and 6.5 assists per game, all of which lead the team. " It will be a matchup of David vs. Goliath on Thursday night, as the Miami Heat take their top record in the NBA to Washington to take on the 1-13 last place Wizards. 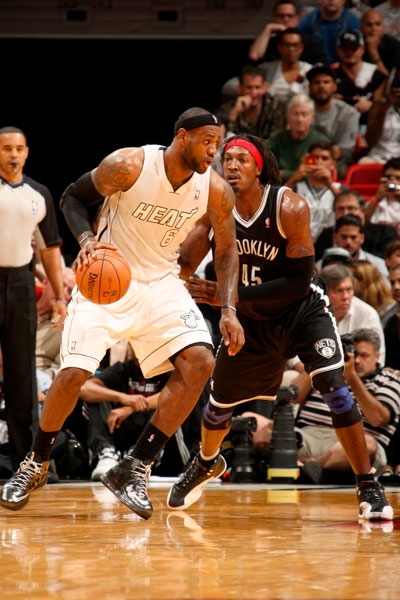 Miami (12-3) defeated the Brooklyn Nets 102-89 on Saturday, in a showdown of the two best teams in the Eastern Conference at the time. Dwyane Wade returned to his all-star form, scoring 34 points to lead the Heat to their sixth straight win. The Wizards are coming off of a 108-87 blowout loss against the New York Knicks, with Jordan Crawford leading Washington with 17 points. Washington averages 89.4 points per game, ranking 30th out of 32 teams in the entire league, where as Miami averages 104.6, second best only behind the Oklahoma City Thunder. 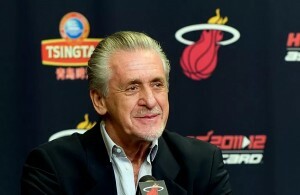 The Wizards’ inability to keep up with the high octane offense of Miami could be the difference in the game, that and the four all-stars the Heat have on their roster. 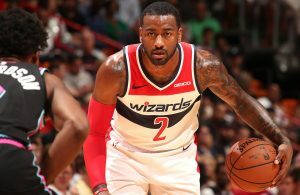 After averaging 16.3 points and 8.0 assists per game to lead the Wizards last season, former number one overall draft pick point guard John Wall has missed the entire season with a knee injury. There is still no timetable for when he will return, but with A.J. Price taking over the starting spot averaging just 8.9 points per game, Wall’s absence has been hard felt by Washington. The Wizards made several roster changes this past off-season, none of which have had as significant an impact as has rookie guard Bradley Beal. Beal, 19, was a star for Billy Donovan’s Florida Gators last year, and his 11.0 points per game is a promising mark, especially when he is paired with Wall in the Wizards’ backcourt. After trading JaVale McGee to the Denver Nuggets last year, the Wizards received Brazilian center Nene, in an attempt to bolster their offensive attack in the post. Unfortunately, Nene suffered plantar fasciitis in his foot and has played in only four games, averaging 11.5 points. Although the Wizards are a ways away from being a playoff team, with a healthy Nene and Wall, Washington will be that much more competitive and with the right development, could be a legitimate playoff contender. Another promising player for the Wizards is their sixth man guard Jordan Crawford. Crawford relieves the rookie Beal and leads the team with 13.1 points per game. With the combination of Crawford and Beal delivering quality numbers, the shooting guard position for Washington is set for years to come with both players under the age of 25. For Miami, they continue to be led by three-time MVP LeBron James. James, who was recently named Sports Illustrated Sportsman of the Year, is averaging 24.7 points, 8.9 rebounds and 6.5 assists per game, all of which lead the team. As expected, James has continued to be the best overall player in the league, but his partner in crime Dwyane Wade has had a shaky start. Wade is second on the team averaging 19.5 points per game, and for many that total would suffice but for Wade, it is the lowest total he has had since his rookie year in 2003. Wade’s inconsistency on the court as well as his battle with numerous injuries and a knee recovering from off-season surgery has been a concern for the Heat, but with Ray Allen seeing his minute total climb, Miami has plenty of firepower to outscore the opposition. Wade seems to be turning a corner however, after his 34 point night against the Nets and matchup with fellow all-star Joe Johnson, he more than held his own. Allen is averaging 13.3 points per game off of the bench and has hit two game winners, a role he has been accustomed to for years now. In his first season as a premier center, Chris Bosh has flourished, averaging 19.3 points, 7.9 rebounds per game and is shooting 55.0 percent from the field. Bosh is the lynchpin in the Miami offense with his ability to rotate away from the basket and consistently knock down a jump shot from anywhere on the court, as well as his quickness and athleticism on the defensive end. Although he gets ignored in crunch time, for the most part Bosh is an integral part of Miami’s success on the offensive end and his matchup against Nene will be vital. 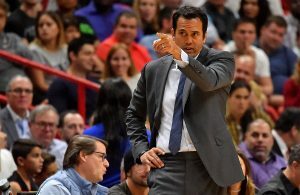 The Miami Heat have played down to their competition when facing off against teams that are struggling, and will need to avoid that sentiment against the Wizards.